Update: Please scroll down to see my mini giveaway! 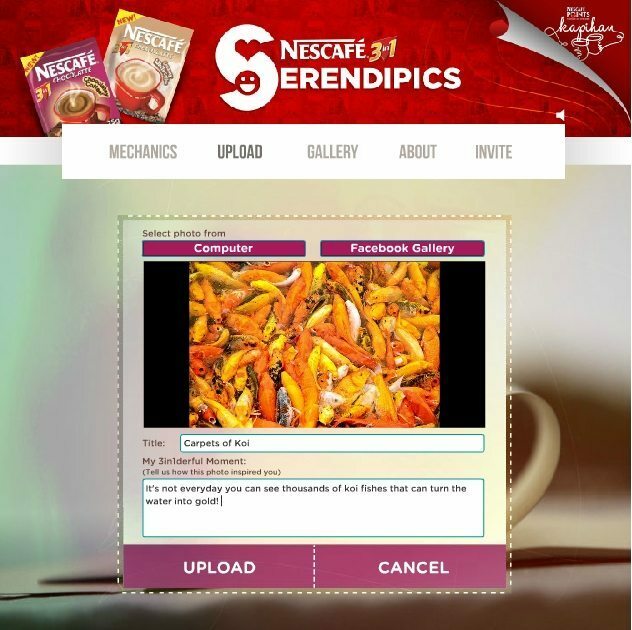 Share your Serendipic shot with Nescafé Philippines and win a camera! Serendipic was coined from the words serendipity and picture. Serendipity means a “happy accident” or “pleasant surprise”; specifically, the accident of finding something good or useful while not specifically searching for it, while picture is a visual representation or image painted, drawn, photographed, or otherwise rendered on a flat surface. So Serendipics are photos of your “happy accident” or “pleasant surprise” moments. 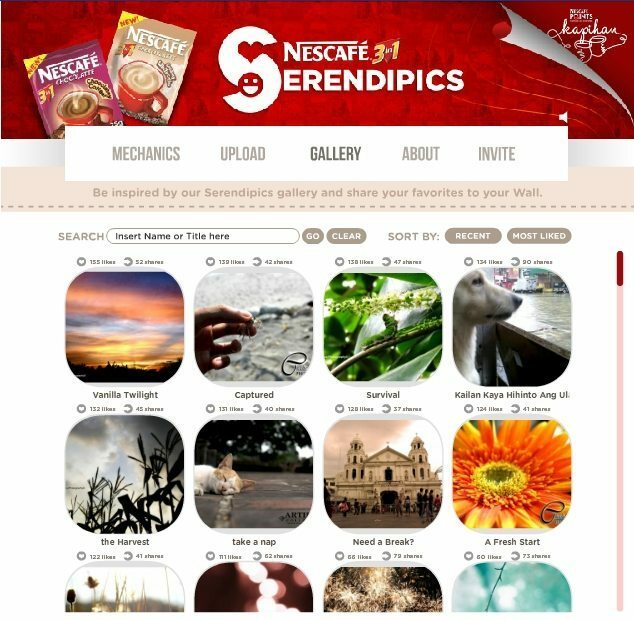 Nescafé 3in1 Serendipics Photo Contest is open to Filipino citizens or persons residing in the Philippines for at least a year and at least 18 years of age at the time of joining. Caption must not exceed 140 characters written in English/Filipino. Photo is related to serendipity or that anything that is serendipitous. Photo should be his own and not stolen from any other user/photographer, or taken from the web. Photo can be taken from any of the following: digital camera, mobile camera, and lomo camera. Photo must be in a simple .jpeg format and must not exceed 5MB in file size. Photos must not be obscene, offensive, disparaging or discriminatory to any person or entity, whether living or already deceased. All photos will be evaluated by the organizers of the promotion before uploading on the gallery. Within 24 hours from receipt of the entry of the participant, the “Facebook administrator” shall send the participant an electronic data message (eDM) informing the participant whether he or she is qualified to join the promotion and whether his or her entry/ies meet the minimum requirements for participating in the promotion. The decision of NPI and the Facebook administrator on this matter shall be final. 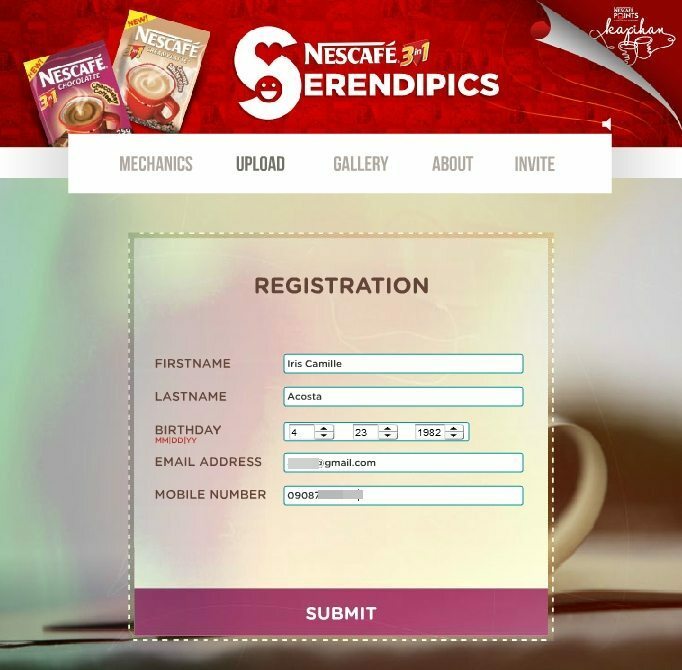 Qualified entries shall be posted in the Photo Gallery of the promotion application found on the Facebook page of NESCAFÉ PHILIPPINES. Deadline for submitting your photo entries is on September 30, 2012. There is no limit in the number of entries that can be submitted per day. So keep sending your entries! 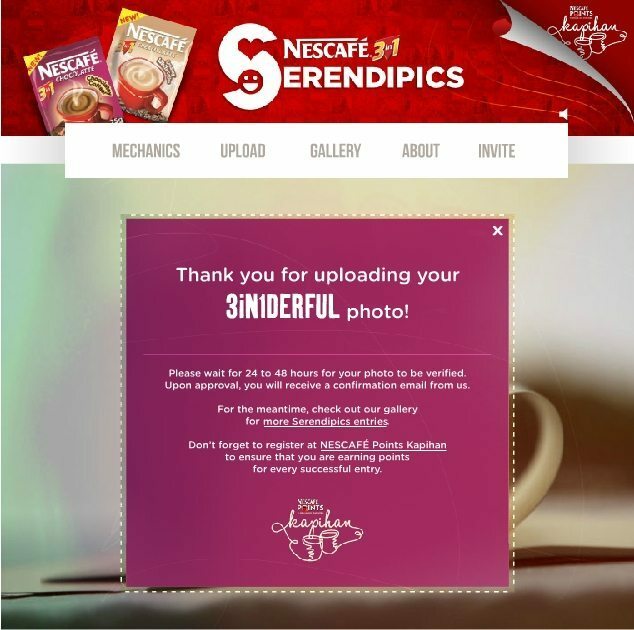 Since it’s so easy join the Nescafé 3in1 Serendipics Photo Contest, I decided to submit one of “serendipitous” photo I took last Friday. On our way home from Tagaytay, we had a quick stopover at Solenad, Nuvali. Solenad blends essential shopping with leisure and dining in a relaxing, al fresco, lakeside environment. There are floor fountains or pumping fountains in the middle of the lake as part of the attraction Riding the water taxi or feeding the schools of fish are just some of the activities one can enjoy at NUVALI. 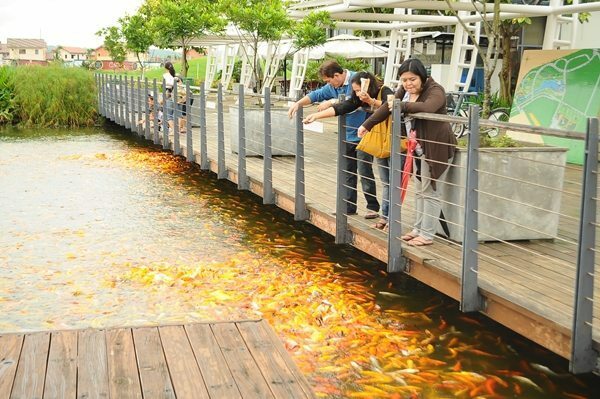 It was their first time seeing thousands of big koi fishes. 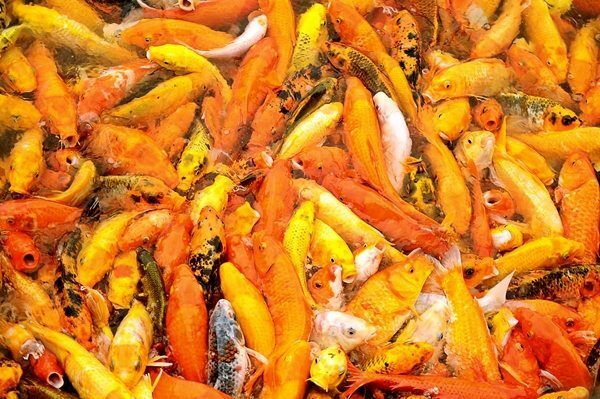 The number of koi fish in the water of Nuvali is enough to turn the water into gold. It’s really something we don’t usually see everyday! 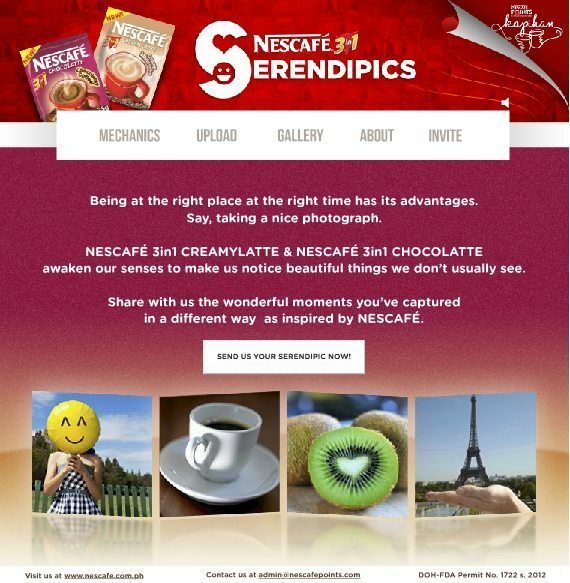 If you have “serendipitous” photo, join Pinay Ads Mini Blog Giveaway for a chance to win Nescafe 3in1 Serendipics gift item. Deadline of submission of entry in this contest is September 21, 2012 September 27, 2012 11:59 P.M. Any other entries made after this will be disqualified. Pinay Ads will choose 10 entries via Ramdom.org. 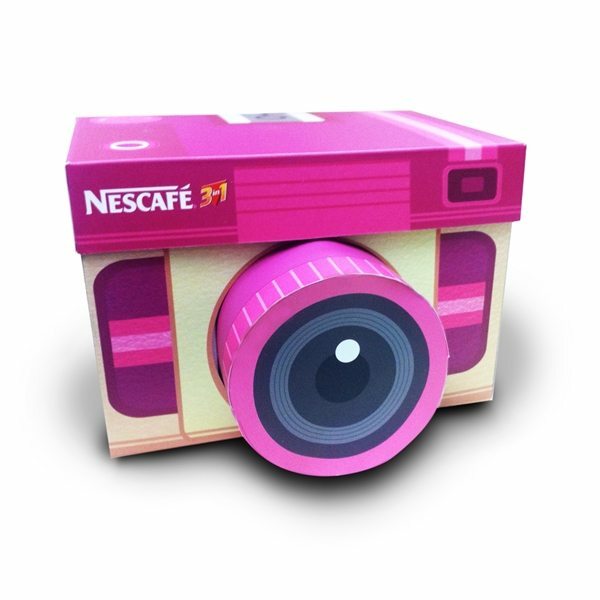 From the 10 entries, one winner will be chosen by Nescafe Philippines. would love to join but i don’t know why i could send another picture. too bad.